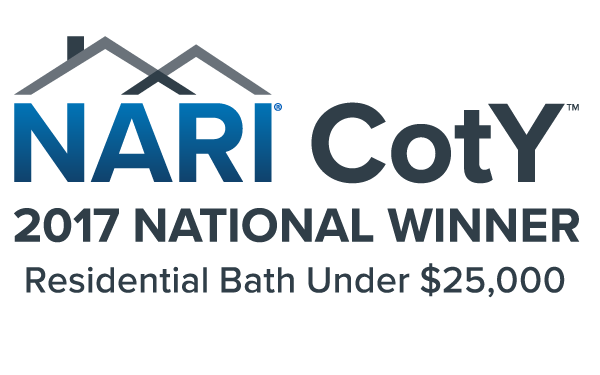 STUART BROWN CUSTOM CONSTRUCTION, INC. has been named 2017 COTY NATIONAL WINNER for RESIDENTIAL BATH UNDER $25,000! The judges commented on the high quality of the projects submitted in the CotY program and they were very impressed with the innovation NARI members presented this year. We received nearly 400 entries valued at over $103 million, and your project stood out as the best in your category. Congratulations on winning this prestigious award!